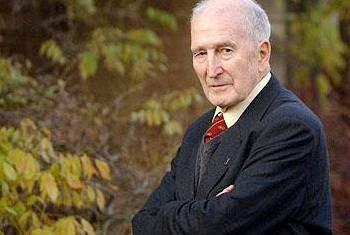 It was my view in 1994 when I started corresponding with Antony Flew that he was the most well known and respected atheist scholar of the 20th century. One needs to look back to such 18th and 19th century figures as David Hume or Friedrich Nietzsche for anything like the depth of Flew’s work. There were, of course, many other 20th century atheist thinkers. But Varghese argues that thinkers like Ayer, Sartre, Camus, Heidegger, Rorty, and Derrida differed from Flew in that they offered systems of thought, one of whose byproducts was atheism. Essentially, they were saying, my system is right – oh, and by the way, there’s no God. But that means that you must buy into the system to get the atheism. And if you come to doubt the system, why believe the atheism? Flew’s God & Philosophy and The Presumption of Atheism took a different tack. They provide arguments against theism (belief in God) that do not depend on buying into a system but follow from logical assumptions. For example, in God and Philosophy, Flew argued that God is an incoherent concept and in The Presumption of Atheism, he argued that the burden of proof lies on theism, and that atheism should be the default position meanwhile. These are much stronger arguments and harder to counter because they do not depend on the task of undermining a system (which, in the case of Nietzsche and Derrida, for example, may be quite easy to do). Flew’s arguments and assumptions forced theists to grapple seriously with why they believe as they do. Varghese believes that the challenge that Flew provided had the unintended effect of revitalizing philosophical theism. The authors, for the most part, sound like hellfire-and-brimstone preachers warning us of dire retribution, even of apocalypse, if we do not repent of our wayward beliefs and associated practices. There is no room for ambiguity or subtlety. It’s black and white. Either you are with us all the way or one with the enemy. Even eminent thinkers who express some sympathy for the other side are denounced as traitors. The evangelists themselves are courageous souls preaching their message in the face of imminent martyrdom. But when it comes to seriously engaging the intellectual arguments for the existence of God, the new atheists are AWOL in his view. In The Spiritual Brain , Mario Beauregard and I similarly noted a general decline in the quality of thought in atheism in recent years, which – it seems to me – curiously parallels the decline in Christian thought noted by Mark Noll in The Scandal of the Evangelical Mind . Often the best that the new atheists can do is to come up with some harebrained theory of how religion might have been passed on from our ancient ancestors in our selfish genes. Now that the human genome has been mapped, it might be a good idea to declare a moratorium on all such theorizing unless the theorist can point to the specific genes about which the claim is made, and demonstrate the effect unambiguously. Too much certainty is bad for us, apparently. Life should be an adventure. Varghese is particularly hard on Richard Dawkins, accusing him of being “patently dishonest” in his description of Albert Einstein’s views. More on that later, from Flew. Flew is far and away atheism’s best and most consistent shot. A serious intellectual theist might merely dismiss Dawkins as a shrill hatemonger but he must grapple with Flew. That is, until the day Flew turned around and said, there Is a God . Now let us look at how he came to say that. Toronto-based Canadian journalist Denyse O’Leary (www.designorchance.com) is the author of the multiple award-winning By Design or by Chance? (Augsburg Fortress 2004), an overview of the intelligent design controversy. She was named CBA Canada’s Recommended Author of the Year in 2005 and is co-author, with Montreal neuroscientist Mario Beauregard, of the The Spiritual Brain: A Neuroscientist’s Case for the Existence of the Soul (Harper 2007). Send mail to GButner@gmail.com with questions or comments about this web site.